Back when I gave an introduction to SDC, I brushed upon set_false_path statements between clocks. However, now there is a more efficient way of specifying the the clock exceptions in the design. set_clock_groups is a powerful way of letting the P&R and STA tools know what is expected of it during optimization and analysis. There are three options to this command. -asynchronous, -logically_exclusive and -physically_exclusive. Let’s tackle them one by one. When you say two(or more) clocks are asynchronous, that means there is no phase relationship between them at all. This is equivalent to setting the following two false path statements. 1. 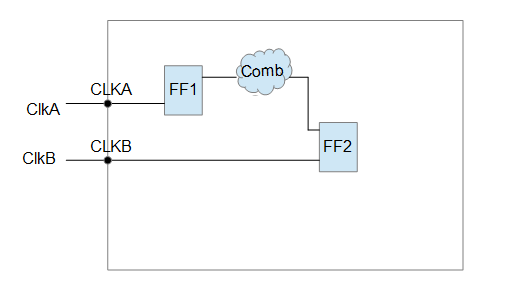 ClkA and ClkC are synchronous to each other. 2. 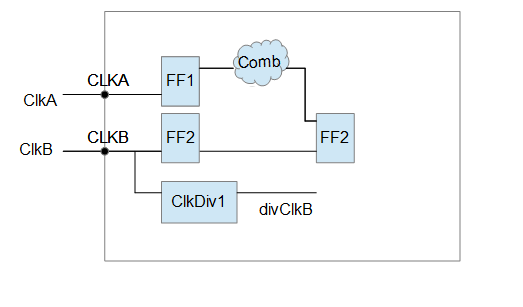 ClkB and ClkD are synchronous to each other. 3. 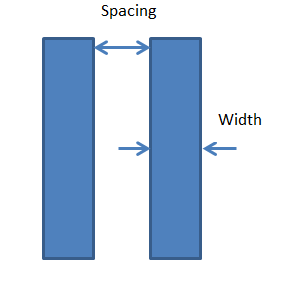 ClkA & ClkC are asynchrnous to ClkB & ClkD and vice versa. i.e. The members of a group are synchronous to each other, but asynchronous the to the elements in the other group. 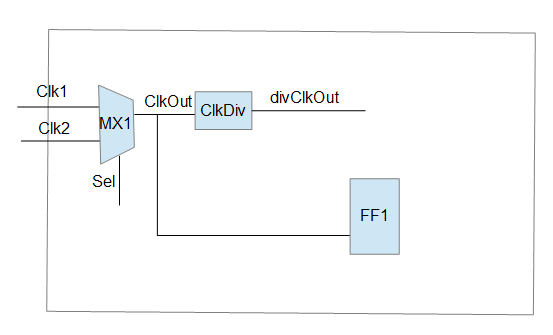 Now, consider that one(or both) of these clocks generated other clock, say by a clock divider as in the figure below. 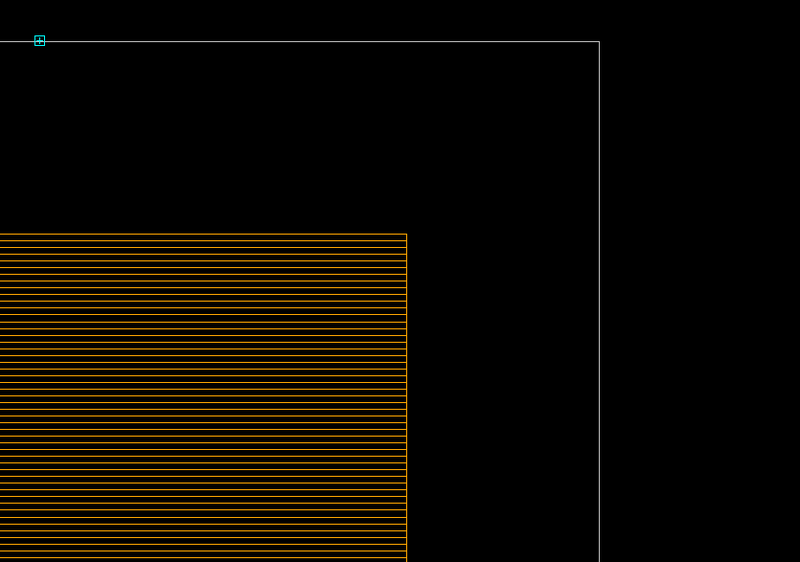 In this case, the clocks ClkB and ClkDiv1 are synchronous to each other, but asynchronous to ClkA. Make sure you have a create_generated_clock statement on divClkB with ClkB as the source clock. set_clock_group on a master clock are NOT applied to generated clocks by default. You need to explicitly include it as in the command below. The clock clkOut is selected by the Sel line of the Mux MX1. So, Clk1 and Clk2 cannot exist together logically in the downstream path of the MX1. 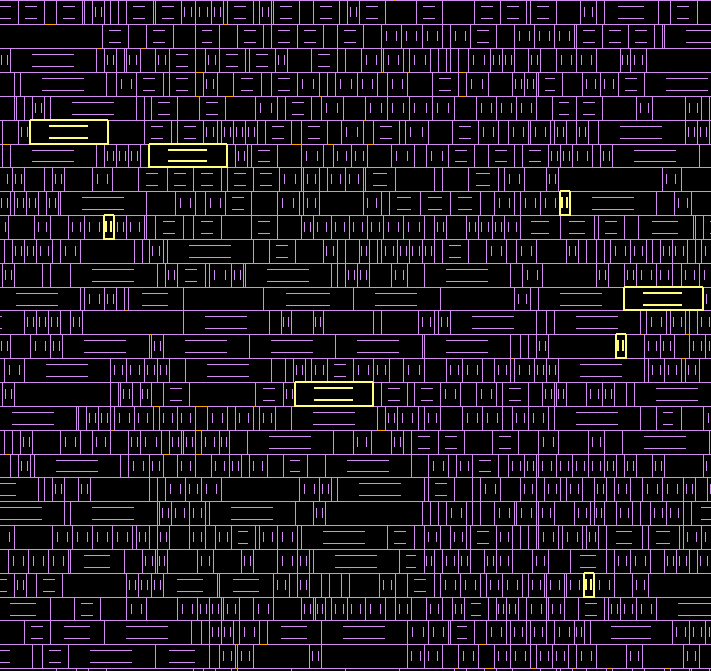 They are not interacting outside the MUX path. 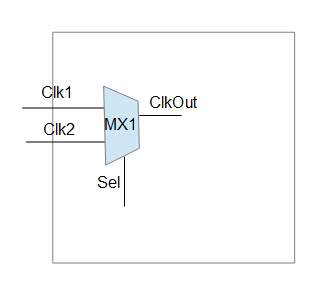 There is logic on Clk2 outside the MUX which is interacting with flops clocked by ClkOut, we cannot specify a logical_exclusion on Clk1 and Clk2. 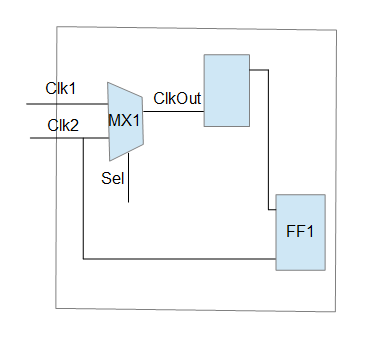 What you can do here is create generated clock statement for the output of the MX1. There is a clock divier on ClkOut. In such cases you need to create two generated clock statements for this with Clk1 & Clk2 as the master clock. These clocks do not exist in the design at the same time. e.g. 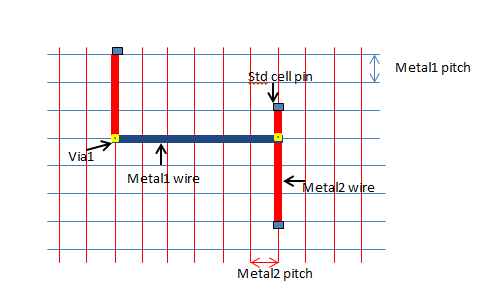 Clocks defined on the same primary port but working in two different modes like the TestClk and Functional Clock. There will be no SI interaction between these clocks.